Aichi University was established in 1946 and has 3 spacious campuses located across Aichi Prefecture in central Japan. Our campuses are located in Nagoya, Toyohashi and Kurumamichi (Nagoya City). A private liberal arts university, we have 7 undergraduate faculties and junior college, 10 departments, 38 and courses and majors, and a graduate school consisting of 7 departments and 10 majors. There are also 9 specialist research centers. The university now has approximately about 10,080 students vigorously pursuing their interests in studies, research, culture, arts, and sports. University students should not be just spoon-fed. They must do research independently and think for themselves. 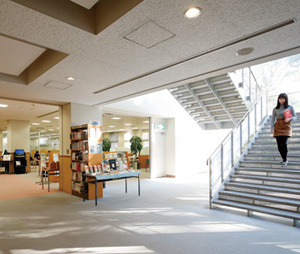 Aichi University takes pride in its library with a collection of approximately 1,760,000 books, the scale of which far exceeds that of any other university throughout Japan. 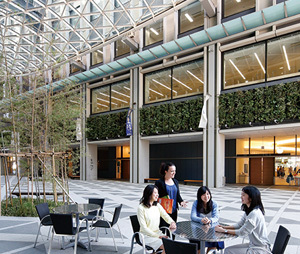 Besides, the latest IT environment of Aichi University provides a comfortable and substantial learning environment. 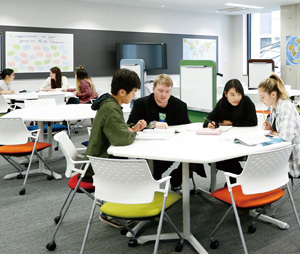 Aichi University’s 7 faculties and Junior College provide 10 departments with 38 courses and major programs to meet students’ appetites for specialized studies. Students can actively participate in seminar discussions, fieldwork and internship programs, and special lectures given by specialists, and brush up on their power of execution and ability to take action through their learning of experience type. The employment rate of students who graduate from Aichi University is constantly as high as about 98.7%. It is remarkable that Aichi University students have been traditionally strong at difficult state examinations, such as government employee examinations, bar examinations, and certified public accountant examinations. Moreover, a powerful network of over 140,000 graduates, who work in all social fields including private enterprises, supports Aichi University students in finding jobs.